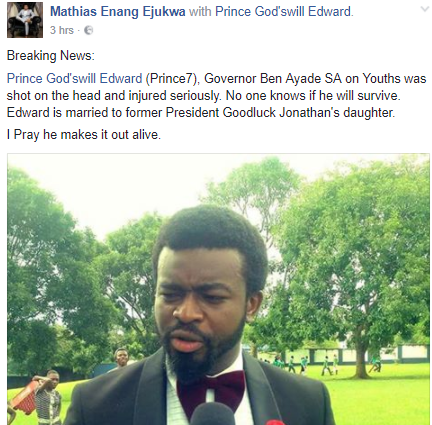 Former president Jonathan's son-in-law, Prince Godswill Edward, was attacked by gunmen last night at his home. According to reports, the gunmen stormed his home at the State Housing Estate residence in the Calabar Municipal axis of Cross River State and was shot in the head. 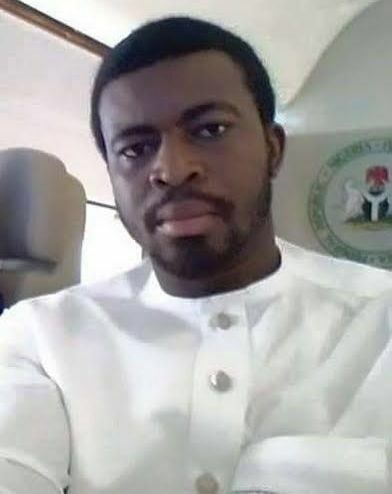 Edward who is the Special Adviser to Cross Rivers state governor, Ben Ayade, on Youths matters, is said to be in the hospital where he is receiving medical attention. Edward is married to Jonathan's foster daughter, Patience Sakwe.